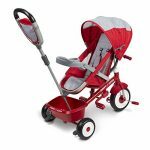 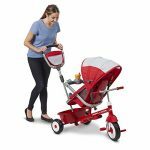 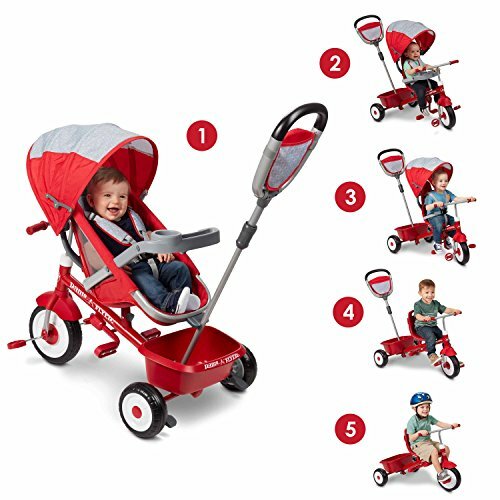 The 5-in-1 Stroll ‘N Trike is the ultimate grow-with-me trike. With an extra large rear storage bucket and parent storage pouch, everyone has a place to bring something with them. 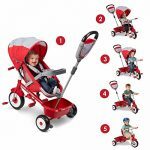 There are 5 ways to ride, by easily converting from a parent facing infant seat to front facing infant trike, push trike, learn-to-ride-trike, and a classic trike. 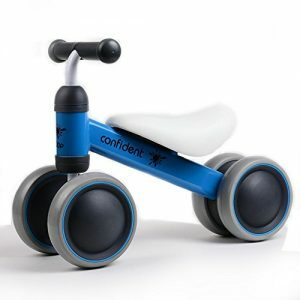 No tools required for transformation! 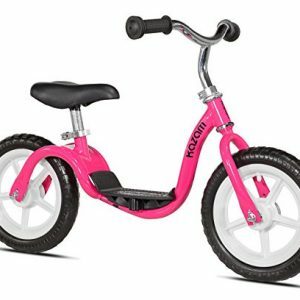 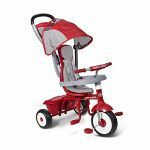 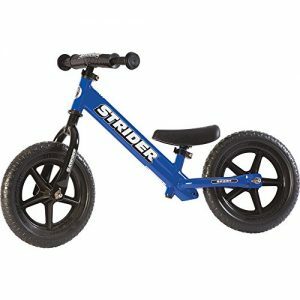 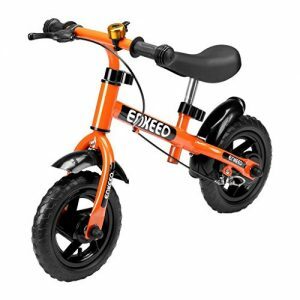 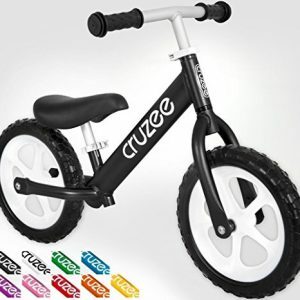 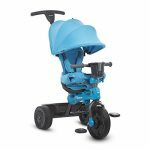 This trike also provides essential safety features, including adult foot brake, removable safety tray with cup holder, a footrest, and a 3-point harness. 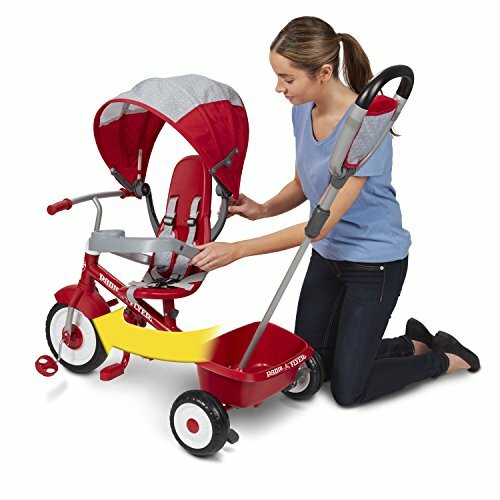 Adjust the seat and remove the height-adjustable push-handle & canopy and your child is ready to ride on their own. For ages 6mo – 5yr.